Table Rock Make up Date. Rusty has announced the Table Rock make up date. Saturday, August 3rd, 2019 at Ahoy’s taking off at 6 weighing back in at 3. Get the latest flyer here. 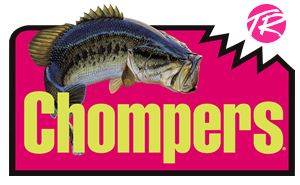 Chompers® - by Table Rock Bait & Tackle Company, makers of ultrasoft plastic lures, jigs, and fish attractants. Anglers have great success landing the big ones with these ultrasoft flavor impregnated lures in combination with our jigheads and brush jigs! Chompers lures are packaged in durable re-sealable bags to lock in fish attractant flavors. Host Lodging - Kimberling Inn. Joe Bass Team Trail events are held at Ahoy's located at waters edge behind the Kimberling Inn.